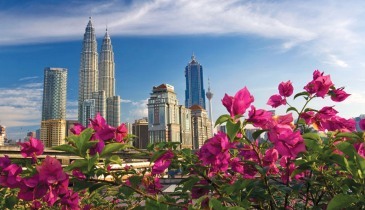 Explore the glitzy capital Kuala Lumpur with its rising and shining skyscrapers, the famous twin towers and the majestic KL Tower. Experience its enticing lifestyle- a perfect blend of modernism and traditions. 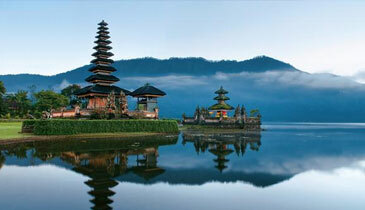 After visiting Kuala Lumpur, travel to Bali to discover the treasure of nature. Lush green cliffs, gushing ocean waves, peaceful temples and an element of mystery to discover yourself, Bali is truly amazing. Get set for an amazing holiday to KL & Bali. As of now airfare for Delhi - Kuala Lumpur - Delhi in the package is calculated at Rs. 18,000/- (per person). Any increase in the airfare to be Paid Extra. As of now airfare for Kuala Lumpur - Bali - Kuala Lumpur in the package is calculated at Rs. 9,000/- (per person). Any increase in the airfare to be Paid Extra. We stayed at Mulia and i must tell everyone- Bali is just fantastic, and thanks to dpauls they suggested me to stay at this property. It was a family vacation and it went super awesome. Must visit Tanjung Benoa while you are at Bali. DPauls arrangement went cordial right from the beginning. We are planning our next trip with you only. Please forward all the documents / forms by mail asap. Remittance form & A-2 FORM.